The predictable format, repetition, and routine of these lessons will create a relaxed learning environment, while the variations in the topics will hold students attention and help them generalize the reading skills they need to succeed! Starting with Level 1 (The Cat) and ending with Level 9 (The Lizard), special-educator Joseph Porter has developed an amazing 90 hours of animal-themed, whole-group instructions. There are two student worksheets for each of nine animals, totaling eighteen worksheets. Each worksheet has four variations, and there is a ready-to-go lesson plan for each one! There are also two sentence-building exercises for each animal theme, which will build students observation skills and help them transform those skills into conversation and written language. 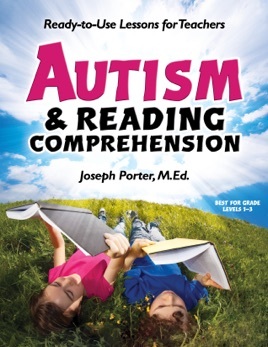 In addition to the step-by-step lesson plans, Joseph provides a detailed description of what the lessons will look and feel like in the classroom, complete with valuable, first-hand advice. In the back, you'll find an appendix with numerous suggestions for complementary activities for each animal theme, so you can supplement on the days with art projects, music, books, and videos. There is even a section containing Data-Collection Sheets, assessment forms that will help you record students progress, per IEP standards. All of the worksheets, lesson plans, visual tools, and assessment forms are available for quick-and-easy print at www.fhautism.com/arc.html.